If you asked “pop culture ambassador” and trustee professor Robert Thompson what he wanted to do with his life when he was an undergraduate student at the University of Chicago in the late 1970s, he would have told you that he wanted to study art history. It was not until his third semester of college that he discovered the art that truly held his interest: television. At the time, no one was studying TV as an art form. But Thompson says he was fascinated with the medium and he was determined to pursue his passion. He earned master’s and doctoral degrees in radio, television and film from Northwestern University and arrived at Syracuse University in 1990. He soon began carving out a niche as one of the most sought-after researchers in the study of television as an art form. In 1997, with support from then Dean David Rubin, Thompson founded the Center for the Study of Popular Television. The center was renamed the Bleier Center for Television and Popular Culture in 2005, thanks to a generous donation from Newhouse alumnus Edward Bleier ’51, a former president at Warner Bros. 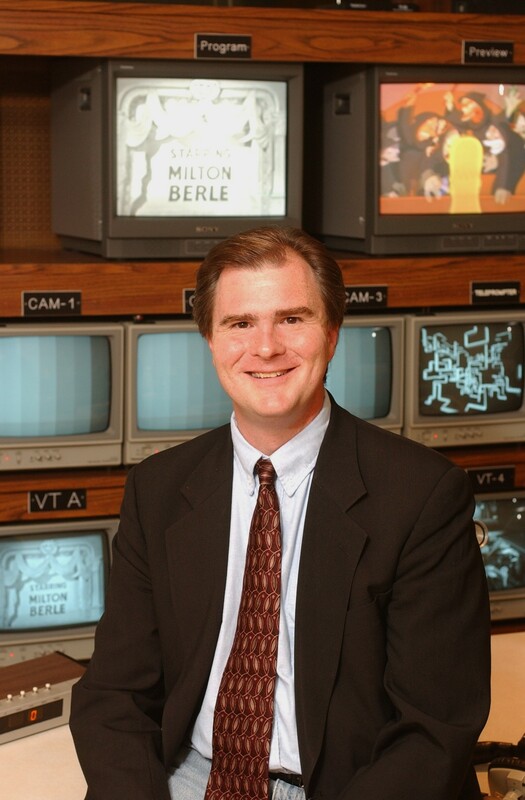 The Bleier Center operates as a kind of think tank on the art of television and the exploration of popular culture. It serves many functions under Thompson’s leadership, including frequent and successful collaborations with Syracuse University Press. It also houses a vast collection of TV archives including scripts, videotapes, writings, recordings and oral histories. Perhaps the most prominent feature of the Bleier Center is Thompson himself. He is one of the most quoted names in media, constantly giving interviews about TV and pop culture. Depending on the day, Thompson may receive as few as six phone calls or as many as 87, which was how many he received after Janet Jackson’s “wardrobe malfunction” at the 2004 Super Bowl. “Most of my time is spent in interviews because I believe that it is really important to promote television as an art form and to show the public that we really believe in what we teach,” Thompson says. Thompson’s interviews are part of the Bleier Center’s growing digital archive, which is available for researchers. Thompson says his favorite aspect of his job is “Tuesdays with Bleier”—screenings held at the center every Tuesday from 12:30 to 3 p.m. Thompson may choose to show a TV episode or two—maybe the Passover episodes of “Rugrats” and “Gossip Girl—or air the 1960 Oscar Awards ceremony in its entirety, commercials and all. Afterwards, participants—he calls the regulars “The Bleier Bunch”—discuss what they have just watched. Thompson says he loves being able to provide a learning opportunity outside the classroom. The Bleier Center also offers a three-semester sequence of classes on the art of television. Topics include TV criticism, analysis of pop culture and the study of TV and radio history. Thompson’s classes are some of the most popular at Newhouse. Thompson says he is fortunate to be able to research and teach his passions, especially at a time when both are evolving at a rapid pace. He says he tries to instill that same excitement, vision and forethought in his students.